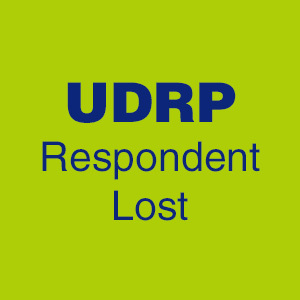 UDRP: Loss for the Respondent. Jireh.com was registered in 1995, and it was just lost via the UDRP process. The Complainant is Jireh Industries Ltd., a Canadian company. In 2016, the Complainant filed applications to register the JIREH mark in Canada and the US, asserting common law rights to the mark going as far back as in 1983. In this UDRP, the Respondent filed no response, and the Complainant asserted that the Respondent acquired the domain in 2011.  Without doubt, an interesting case, due to the time lapsed between the various milestones in this UDRP. Decision: Richard Hill, sole panelist at the National Arbitration Forum, ordered the domain to be transferred to the Complainant. Complainant is Jireh Industries Ltd. (“Complainant”), represented by Daniel J. Block, Colorado. Respondent is DVLPMNT MARKETING, INC. / Domain Administrator (“Respondent”), Saint Kitts. The domain name at issue is <jireh.com>, registered with Wild West Domains, LLC. The undersigned certifies that he or she has acted independently and impartially and to the best of his or her knowledge has no known conflict in serving as Panelist in this proceeding. Complainant submitted a Complaint to the Forum electronically on June 9, 2017; the Forum received payment on June 9, 2017. On June 11, 2017, Wild West Domains, LLC confirmed by e-mail to the Forum that the <jireh.com> domain name is registered with Wild West Domains, LLC and that Respondent is the current registrant of the name. Wild West Domains, LLC has verified that Respondent is bound by the Wild West Domains, LLC registration agreement and has thereby agreed to resolve domain disputes brought by third parties in accordance with ICANN’s Uniform Domain Name Dispute Resolution Policy (the “Policy”). On June 12, 2017, the Forum served the Complaint and all Annexes, including a Written Notice of the Complaint, setting a deadline of July 3, 2017 by which Respondent could file a Response to the Complaint, via e-mail to all entities and persons listed on Respondent’s registration as technical, administrative, and billing contacts, and to postmaster@jireh.com. Also on June 12, 2017, the Written Notice of the Complaint, notifying Respondent of the e-mail addresses served and the deadline for a Response, was transmitted to Respondent via post and fax, to all entities and persons listed on Respondent’s registration as technical, administrative and billing contacts. On July 6, 2017, pursuant to Complainant’s request to have the dispute decided by a single-member Panel, the Forum appointed Richard Hill as Panelist. Complainant states that it uses the JIREH mark in connection with the creation and sale of industrial equipment. Complainant has filed applications concerning the JIREH mark in the United States and Canada in 2016, claiming first use in 2002. Complainant alleges that it possesses common law rights in the JIREH mark because of its continued use in connection with Complainant’s various equipment sales in both Canada and the United States since as early as 1983. Complaint maintains a web site at <www.jireh-industries.com>. According to Complainant, the disputed domain name is identical to Complainant’s mark—differing only in the addition of the generic top-level domain (“gTLD”) “.com”. Complainant alleges that Respondent has no rights or legitimate interests in the disputed domain name. Respondent is not commonly known by the domain name, nor has Complainant authorized Respondent to use the JIREH mark for any purpose. Respondent also fails to use the disputed domain name in connection with any bona fide offering of goods or services, or legitimate noncommercial or fair use. Instead, Respondent simply uses the disputed domain name’s resolving site to host a collection of hyperlinks and advertisements. Further, says Complainant, Respondent registered and continues to use the disputed domain name in bad faith. Respondent’s use of the disputed domain involves attracting Internet users to its site using Complainant’s notoriety, presumably so that it may either profit via pay-per-click advertisement revenue or by way of a future sale of the disputed domain name. Complainant alleges, but does not provide any evidence to support its allegation, that other confusingly similar domain names have been registered by Respondent, which provides an indication of Respondent’s pattern of bad faith behavior. Complainant has rights in the mark JIREH dating back to at least 1998. The disputed domain name was first registered in 1995, but Respondent acquired ownership of the disputed domain name in 2011. Complainant has not licensed or otherwise authorized Respondent to use its mark. The disputed domain name resolves to a web site featuring pay-per-click advertisements that are not related to Complainant’s products, nor to the disputed domain name itself. In view of Respondent’s failure to submit a response, the Panel shall decide this administrative proceeding on the basis of Complainant’s undisputed representations pursuant to paragraphs 5(f), 14(a) and 15(a) of the Rules and draw such inferences it considers appropriate pursuant to paragraph 14(b) of the Rules. The Panel is entitled to accept all reasonable allegations and inferences set forth in the Complaint as true unless the evidence is clearly contradictory. See Vertical Solutions Mgmt., Inc. v. webnet-marketing, inc., FA 95095 (Forum July 31, 2000) (holding that the respondent’s failure to respond allows all reasonable inferences of fact in the allegations of the complaint to be deemed true); see also Talk City, Inc. v. Robertson, D2000-0009 (WIPO Feb. 29, 2000) (“In the absence of a response, it is appropriate to accept as true all allegations of the Complaint.”). It is settled case law under the Policy that a registered trademark is not required for a complainant to establish rights in a mark. See Oculus VR, LLC v. Ivan Smirnov, FA 1625898 (Forum July 27, 2015) (holding, “A Complainant does not need to hold registered trademark rights in order to have rights in a mark under Policy ¶ 4(a)(i) and it is well established that a Complainant may rely on common law or unregistered trademarks that it can make out.”). Therefore, Complainant may establish its rights in the JIREH mark for purposes of the Policy by providing evidence of common law trademark rights. Here, Complainant asserts that it has used the JIREH mark in connection with the sales of various industrial equipment—for applications ranging from oil to food processing—since as early as 1983. Further, Complainant argues that it has rights in the mark because it owns and operates a domain name containing the mark in connection with its equipment business. A WHOIS search shows that Complainant’s domain name <jireh-industries.com> was first registered in 1998; a search on <www.archive.org> (“The Wayback Machine”) shows that Complainant has used that domain name ever since to maintain a web site to promote its business. This kind of evidence of continued use of a mark may be sufficient to establish a complainant’s common law rights therein. See Golden Title Loans, LLC dba 745Cash v. roylee, FA 1618801 (Forum June 23, 2015) (holding, “Relevant evidence of secondary meaning includes continuous and ongoing use of a mark, holding of a domain name identical to the mark, or using the mark in commerce before a disputed domain name is created.”). As such, and in the absence of a Response, the Panel finds that Complainant has sufficiently established its rights, dating back to 1998, in or to the JIREH mark for purposes of Policy ¶ 4(a)(i).  The disputed domain name is composed entirely of the mark at issue, with only one minor addition: a “.com” gTLD. The addition of the “.com” gTLD is insufficient to preclude a finding of confusing similarity. See, e.g., AOL Inc. v. Morgan, FA 1349260 (Forum Nov. 4, 2010) (concluding that the addition of the generic top-level domain (“gTLD”) “.com” does not distinguish the disputed domain name from the mark). Therefore, the Panel finds that the disputed domain name is identical to Complainant’s mark. Complainant must first make a prima facie case that Respondent lacks rights and legitimate interests in the disputed domain name under Policy ¶ 4(a)(ii), and then the burden shifts to Respondent to show it does have rights or legitimate interests. See Hanna-Barbera Prods., Inc. v. Entm’t Commentaries, FA 741828 (Forum Aug. 18, 2006) (holding that the complainant must first make a prima facie case that the respondent lacks rights and legitimate interests in the disputed domain name under UDRP ¶ 4(a)(ii) before the burden shifts to the respondent to show that it does have rights or legitimate interests in a domain name); see also AOL LLC v. Gerberg, FA 780200 (Forum Sept. 25, 2006) (“Complainant must first make a prima facie showing that Respondent does not have rights or legitimate interest in the subject domain names, which burden is light. If Complainant satisfies its burden, then the burden shifts to Respondent to show that it does have rights or legitimate interests in the subject domain names.”). In addition to asserting that it has neither authorized nor licensed Respondent’s use of the JIREH mark, Complainant contends that Respondent is not commonly known by the disputed domain name within the meaning of Policy ¶ 4(c)(ii). When a respondent fails to submit a response, panels may look to the WHOIS records to establish the lack of affiliation between a registrant and a domain name. See Guardair Corporation v. Pablo Palermo, FA1407001571060 (Forum Aug. 28, 2014) (holding that the respondent was not commonly known by the <guardair.com> domain name according to Policy ¶ 4(c)(ii), as the WHOIS information lists “Pablo Palermo” as registrant of the disputed domain name). Here, the Panel notes that the WHOIS information concerning the disputed domain name identifies “Domain Administrator / DVLPMNT MARKETING, INC.” as the registrant, which provides no evidence that Respondent is commonly known by the domain name. As such, the Panel finds that Respondent is not commonly known by, and thus lacks rights and legitimate interests in the disputed domain name pursuant to Policy ¶ 4(c)(ii). Additionally, Complainant argues that Respondent’s use of the disputed domain name constitutes neither a bona fide offering of goods and services nor a legitimate noncommercial or fair use. Complainant contends that Respondent financially profits from the disputed domain name by way of pay-per-click advertisements. Since these kinds of advertisements generate revenue for the holder of a domain name, they cannot be noncommercial; further, they do not qualify as a bona fide offering. See Vance Int’l, Inc. v. Abend, FA 970871 (Forum June 8, 2007) (concluding that the operation of a pay-per-click website at a confusingly similar domain name does not represent a bona fide offering of goods or services or a legitimate noncommercial or fair use, regardless of whether or not the links resolve to competing or unrelated websites or if the respondent is itself commercially profiting from the click-through fees). Therefore, this Panel finds that Complainant sufficiently made its prima facie showing against Respondent under Policy ¶¶ 4(c)(i) and (iii). Since Respondent has not replied, the Panel must determine whether it is reasonable to infer from the established facts and from Complainant’s undisputed allegations that Respondent indeed does not have rights or legitimate interests in the disputed domain name. Applying UDRP paragraph 4(c), panels have found that the use of a domain name to host a parked page comprising PPC [pay per click] links does not represent a bona fide offering where such links compete with or capitalize on the reputation and goodwill of the complainant’s mark or otherwise mislead Internet users. Panels have recognized that the use of a domain name to host a page comprising PPC links would be permissible – and therefore consistent with respondent rights or legitimate interests under the UDRP – where the domain name consists of an actual dictionary word(s) or phrase and is used to host PPC links genuinely related to the dictionary meaning of the word(s) or phrase comprising the domain name, and not to trade off the complainant’s (or its competitor’s) trademark. In the present case, the web site at the disputed domain name does not appear to contain links that compete with or capitalize on the goodwill of complainant’s mark. However, the disputed domain name does not appear to consist of dictionary word and does not appear to be used to host links genuinely related to its dictionary meaning. Respondent (who did not reply to Complainant’s contentions) has not presented any explanation for its acquisition, in 2011, of the disputed domain name, nor has it explained why it believes that it has rights or legitimate interests in that domain name. In accordance with paragraph 14(b) of the Rules, the Panel shall draw such inferences from Respondent’s failure to reply as it considers appropriate. While Respondent might have been able to explain why it had rights or legitimate interest in the disputed domain name, it has chosen not to do so. As a consequence, the Panel finds that Respondent does not have rights or legitimate interests in the disputed domain name. On the other hand, the transfer of a domain name registration from a third party to the respondent is not a renewal and the date on which the current registrant acquired the domain name is the date a panel will consider in assessing bad faith. This holds true for single domain name acquisitions as well as for portfolio acquisitions. In the present case, a search on The Wayback Machine (<www.archive.org>) shows that the disputed domain name was used to promote a consulting company called “Jireh” from its initial registration in 1995 until 2011. After 2011, it was used to resolve to a web site containing pay-per-click links. In the absence of a Response, the Panel accepts Complainant’s allegation to the effect that Respondent acquired the disputed domain name in 2011, well after Complainant established its trademark rights. Respondent (who did not reply to Complainant’s contentions) has not presented any plausible explanation for its registration of Complainant’s. As already noted, in accordance with paragraph 14(b) of the Rules, the Panel shall draw such inferences from Respondent’s failure to reply as it considers appropriate. Accordingly, the Panel finds that Respondent did not have a legitimate use in mind when registering the disputed domain name. Regarding use in bad faith, Complainant alleges that Respondent presumably intends to sell the disputed domain name for profit. Although Complainant provides no evidence to support this assertion, the Panel notes that registration of a disputed domain name to which a respondent has no known connection may indicate an intent to sell the same. See Cruzeiro Licenciamentos Ltda. v. Sallen, D2000-0715 (WIPO Sept. 6, 2000) (finding that mere failure to make an active use of a domain name can qualify as bad faith if the domain name owner’s conduct creates the impression that the name is for sale). As already noted, the Panel shall draw such inferences from Respondent’s failure to reply as it considers appropriate. Given the lack of Response, the Panel accepts Complainant’s allegation and finds bad faith registration and use under Policy ¶ 4(b)(i). Further, Respondent uses the disputed domain name to attract Internet users in order to profit by way of pay-per-click advertisement revenue. Capitalizing on the goodwill and notoriety of a complainant’s trademark in this way can provide evidence of bad faith use and registration under Policy ¶ 4(b)(iv). See Adorama, Inc. v. Moniker Privacy Services, FA1503001610020 (Forum May 1, 2015) (“Respondent uses pay-per-click hyperlinks on the resolving website, which redirects users to competing websites. The use of hyperlinks to disrupt and compete with a complainant’s business is evidence of bad faith registration and use under Policy ¶ 4(b)(iii).”). Once again, Respondent may have been able to explain that it did not intend to capitalize on the goodwill or notoriety of Complainant’s mark, but it did not do so. As such, the Panel finds that Complainant has also sufficiently established Respondent’s bad faith within the meaning of Policy ¶ 4(b)(iv). Accordingly, it is Ordered that the <jireh.com> domain name be TRANSFERRED from Respondent to Complainant.